This weekend was fairly busy. Friday night Varen & I were supposed to go to Pianogirl's concert but Varen had a splitting headache, which is not (as you can imagine) conducive to sitting thru any sort of musical event so instead he came over and we watched dvd's with Loulou. We started with Saw 3. Saw 3 focuses on the again resurfaced Jigsaw Killer, the antagonist of the previous films, who is working with his unstable apprentice Amanda to finish the final tests he had prepared and planned before he dies. 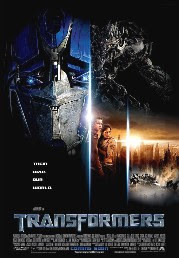 The film also contains additional backstory information on the two antagonists. I still think the original Saw is the best in the series. I didn't think Saw 2 was all that and although I do love the twists of these movies, they are getting just a bit to horrific for me! Either way, it was definitely worth watching if you've enjoy the rest of the series. 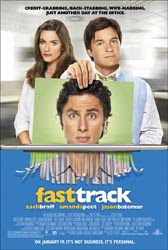 Then we moved onto something lighter, Zach Braff in Fast Track. Tom Reilly is a bit of an underachiever when it comes to his career (or lack thereof), but his adoring wife Sofia, a formidable lawyer, has always been happy to act as the breadwinner. With the birth of their first child, Sofia decides she wants to be a stay-at-home mom, so Tom needs to step up and take care of his growing family. Unfortunately he gets fired from his job in New York City and is forced to start working with his father-in-law in Sofia's hometown of Ohio. Tom soon clashes with his work colleagues, especially the outrageous Chip, who still carries a torch for Sofia from their high school days, and Sofia becomes increasingly uncomfortable staying home with their new baby. In doing all the right things for all the wrong reasons, the couple needs to get back to what they're good at, before their model family goes completely off track. Saturday was a busy, busy, expensive day. I meant to go and sort out all the last little things for my upcoming trip (barely over a week till I'm off now!) but I hadn't done enough preparation on Friday so was left scrambling for whatever I thought might be useful and unable to buy my forex - must get to that this week! Dragged Varen around the shopping centres till 4:30pm by which time even my takkie-clad (sneaker to those not in SA) feet were exhausted. Then we went home and lazed for the rest of the evening with some delish Sfigati pizza and the rest of Season 2 of The 4400. Sunday was another blur of shopping ... well not exactly. We headed to Rosebank for 2 more movies (gotta get them seen before I head off on my trip!!) and a quick whisk round the rooftop market, which Varen had never been to before. We ended up buying ourselves a Hookah Pipe. I love them and unfortunately Bean took the one we'd bought in Egypt in the break-up ... And Varen has been wanting one for a while too :) And then it was off to see Transformers. 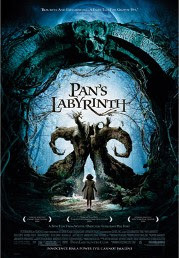 After that it was time for a quick bite and then off to my movie pick, Pan's Labyrinth. Innocence Has A Power Evil Cannot Imagine. In this fairy tale, a small family in Spain moves into an old house in 1943 after the rise of Fascism. Their eldest daughter, at age 12, falls in love with a fawn that lives in the old ruined labyrinth which resides behind their new decrepit home. Not at all what I was expecting from the movie poster of the previews. And I must admit Varen put up far less of a fuss that I expected when he realised there were subtitles ;) I thought it would be a far more fantastical story, but it was good none the less. And admittedly there were some moments that had me hiding behind my hand (not unlike Saw 3). It was a good weekend, although my feet are still aching from the amount of walking we did. I think it's going to be a bit of a crazy week too, what with finalising everything I still need for my trip!